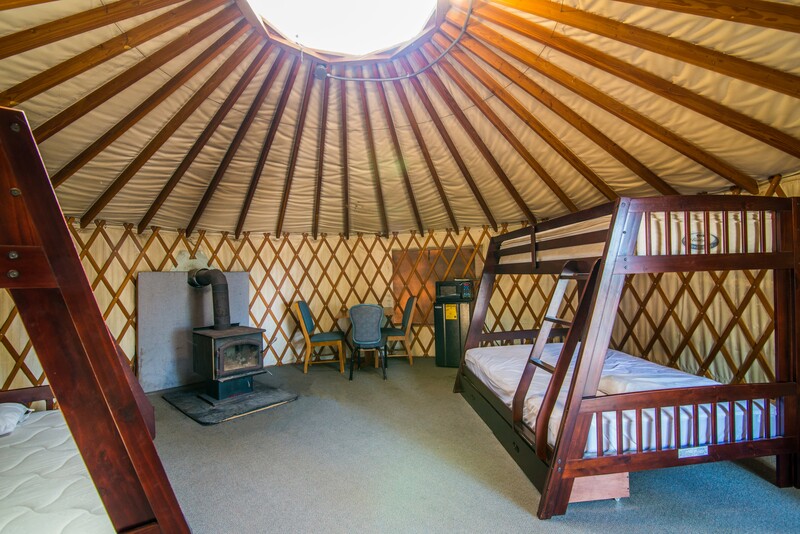 If you’re looking to “rough it” without the effort, then our Yurts are the perfect fit for you. 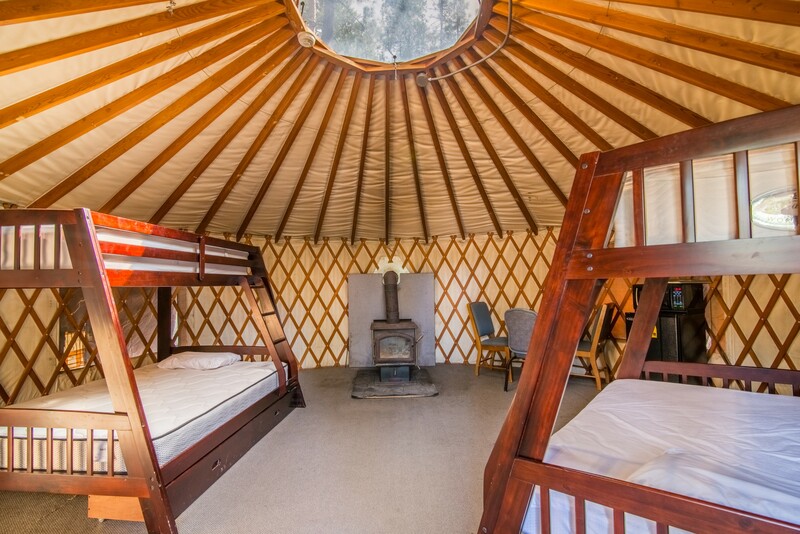 The dome shaped permanent tents can accommodate up to six people and are pet friendly. Inside you will find two bunk beds that are built with a full sized bed on the bottom bunk and a twin sized bed on the top. Also inside you will have a small table, wood burning stove for heat, a miniature fridge, and microwave. There is not bathroom inside the yurt but a bathhouse key is included. 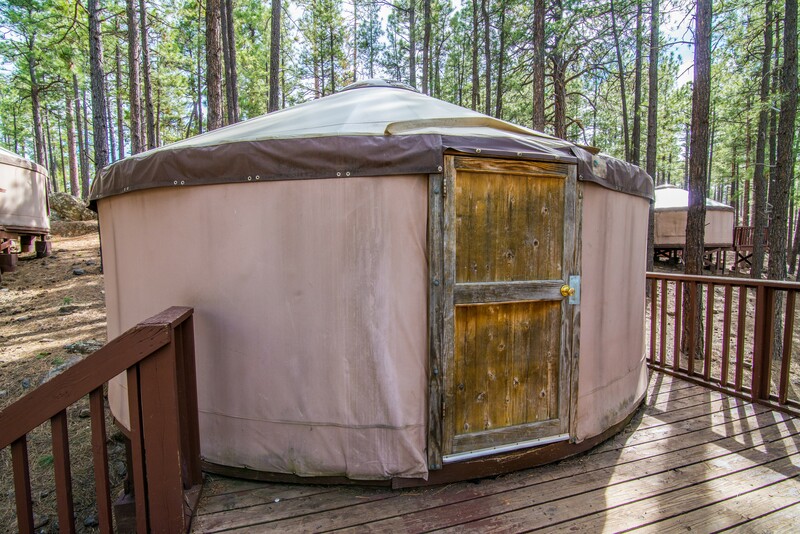 The bathhouse which is equipped with toilets, sinks, and showers is a short there are port-o-potties a short our yurts are here for the people who are looking for a dose of the ponderosa pines and cooler weather.